Lailah Tov Yare’ach — a familiar childhood classic — is a wonderful read for those new to learning Hebrew. The Hebrew version reads a bit different from the English edition as it is not a literal word by word translation. 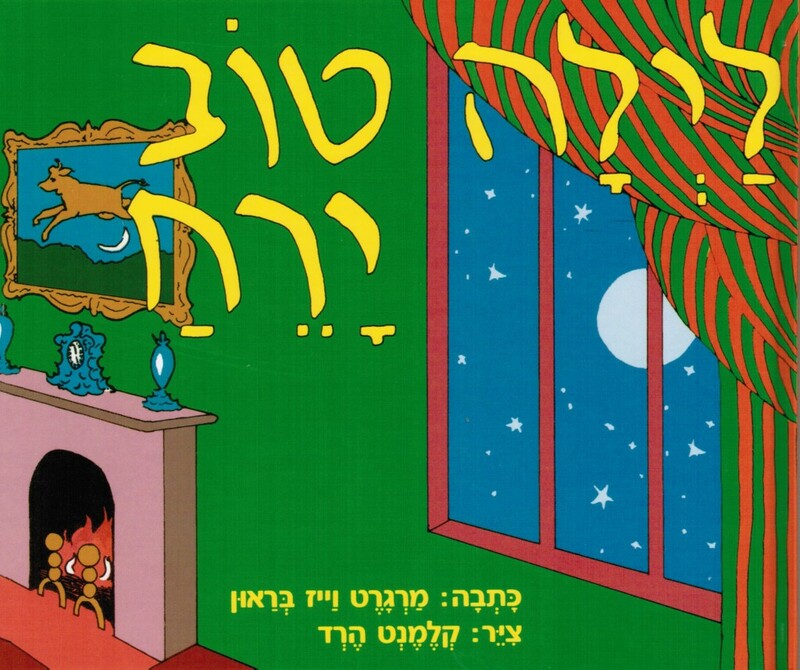 But, Lailah Tov Yare’ach preserves the rhythm and poetry of the original Good Night Moon. If you are introducing Hebrew to your children, reading Hebrew is a wonderful way to reinforce the language and what a sweet read for bedtime. We encourage you to purchase the book (available at amazon.com) and follow along with Keren as she reads Lailah Tov Yare’ach, or simply watch and listen here online. The Vocabulary list will help with translation. and the lesser light to rule the night; and the stars. For those who have children (or just love to make their own cards) we have provided a downloadable ‘I Love You To The Moon and Back’ card to color HERE — note that you will need to make a horizontal cut at the center of the page for two cards. 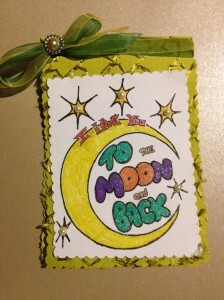 A great family fun activity – make a Moon Flipbook. Trace a circle onto the index cards – right hand side — try to get the circle in the same spot on each card. Starting on Rosh Chodesh* take a moment each night and observe the moon. Have your child record what he/she sees (for example, if the moon is a quarter moon your child would color in a quarter of the circle). Date or number the cards. After observing for a full moon phase staple the cards in order on the left hand side. Flip your moon book and see the moon pass through all it’s phases! This entry was posted in Hebrew Audiobooks - read by Keren by Cindy Lou. Bookmark the permalink. I Love this. My sister and granddaughter have an going dialogue about the moon. I like it even without any children here to share it with. Read so delightfully – thank you Keren. Hope you enjoy doing the crafts with her, Niki. Blessings as you “lomedet Yvrit”! Margaret! I’m happy to hear that. It’s how we at His-Israel feel too… Children’s books often have much to teach us ‘grown ups’. Such a delight to see you here and on FB – been meaning to get in contact. Blessings to you. Love this!!! I am teaching my little ones Hebrew (and only know a little Hebrew myself)!!! I hope you do more children’s audiobooks! !